Over a decade ago, I was one of the co-founders of a small Catholic blog called Vox Nova. The goal of the blog was precisely that – to be a “new voice” for authentic and consistent Catholic social teaching. Most of us on that blog hued to traditional teaching on social justice and were identified with the Catholic left. But we also tried hard to be consistent – we didn’t disdain Humanae Vitae, ignore abortion, call for women priests, or denigrate Church teachings on sexuality. In doing so, we sought to challenge the presumptions of those who monopolized the mantle of “faithful, orthodox Catholicism”. This world is a Calvinist world, manifesting politically in the twin ideas that the United States is God’s chosen country with a unique destiny in the world’s history, which gives rise to a dualistic outlook, and that God bestows material rewards on his favored, which leads to a full-throttled embrace of capitalism. This latter pathology comes in different levels, of course, the nadir being the appalling “prosperity gospel”. It fails to appreciate that the American approach to rights is rooted more in liberal individualism than in the Catholic conception of rights twinned with duties – encompassing rights to the preconditions of human flourishing, such as a living wage, housing, medical care, education, and necessary social services (as enunciated, for example, in Pope John XXIII’s landmark encyclical Pacem in Terris). The best that can be said is that the U.S. constitutional order is not incompatible with Catholicism. But the same can be said of the constitutions of most countries. At the same time, this distorted vision embraces American exceptionalism over Christian notions of “infinite relationality” (to use a term associated with Metropolitan John Zizioulas of the Orthodox Church). It glorifies the military, insists on a maximum military budget, and defends U.S. military adventurism across the globe. Here’s an interpretive key: when these people herald orthodoxy, they are not talking about theology. They are talking about politics. They are talking about fealty to a cohesive yet inconsistent political ideology that centers on the modern Republican party. When challenged, especially by folks who support Catholic teaching across the spectrum, their typical response is not theological but political – you support the Democrats, the Democrats kill babies, so you are implicated in baby-killing. Or you support the Democrats, the Democrats hate religious believers, therefore you are implicated in attacks on religion. Now, it would be one thing for these folks to claim that Christian discernment leads them to hold their noses and vote Republican. This is a perfectly acceptable, even respectable, position – especially in light of the increasing abortion absolutism and left-wing libertarianism of the Democratic Party. But this is not what happens. It’s not just that they prioritize issues like abortion, marriage, and religious liberty and then hold their noses on the other stuff. They don’t believe the other stuff stinks at all. They actually think it emits a pleasant odor! And so they go to great lengths to “negotiate” their way out of this impasse, declaring that some values are more important than others, that “prudential judgment” gives a free pass, or that Americans have a better grasp on reality than decadent Europeans or Argentinian statists. Using the unborn as a rhetorical weapon serves to paper over these incongruities. These folks aren’t pro-life in any meaningful sense of the word, and even when it comes to the unborn, they can gut a program that pays for half of all childbirths without breaking a sweat. They might be sincere in their defense of life, but they are not consistent in it. Ideology comes first. I’ll give them this – these people have had a remarkably good run of it over the past few decades. Their libertarian economics was able to fend off orthodox Catholicism and even establish beachheads in places like Catholic University. People like George Weigel and Michael Novak could perform impressive mental gymnastics to claim that the invasion and occupation of Iraq met the standards of a just war (despite the staunch opposition of their hero, Pope John Paul II). Weigel could get away with openly mocking Pope Benedict’s social teaching. Raymond Arroyo could shamefully defend torture and deny climate change on EWTN. The Knights of Columbus could be shamelessly politicized. And groups like “Catholic Vote” could openly lobby for the tea party. I could go on and on, but you get the idea. All of this changed under Pope Francis. And these changing fortunes go a long way toward explaining the hostility of many (but by no means all) on the American Catholic right toward this pope (remember the interpretive key: it’s all political). 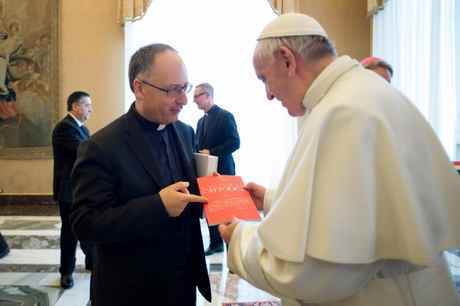 While Francis doesn’t really differ from his predecessors in doctrinal substance, he does so in pastoral tone. They can’t spin him as they did previous popes, especially John Paul II. Remember, people like Weigel, Novak, Richard John Neuhaus, and Robert Sirico went to great lengths to claim that the encyclical Centesimus Annus changed Catholic social teaching, even though this was explicitly denied by Cardinal Peter Turkson. These people sometimes engaged in what can be best described as “John Paul Gnosticism”: despite what his public teachings might say, they could claim he was secretly on their side. But they can’t readily ignore Pope Francis’s pellucid and prophetic teachings on the economy and the environment. And they really hate the way he links how we treat the poor, the excluded, the unborn, the migrant, the elderly, and the environment under the banner of a “throwaway culture”, which of course is connected to the cult of consumer choice and instant gratification that’s responsible for how our modern economy operates. This, of course, is anathema. But openly opposing the pope comes with risks, especially when your whole identity is wrapped up with being a “faithful and orthodox” Catholic. So as well as downplaying papal teachings on the economy and the environment, they also resort to an old tactic – isolating a particular moral issue to cloak the real disagreement. Just as they exploit the unborn for domestic political gain, they seize upon language in Amoris Letitia related to communion for the divorced and remarried to one-up Pope Francis – audaciously claiming they are more Catholic than the pope. And some of the ringleaders are even the same – most notoriously, Cardinal Raymond Burke. All of this came to a head with the rise of Donald Trump. The U.S. church is being asked to choose between the values of the pope and the values of the president. There is no longer any scope for obfuscation. I must point out that many of the people I am criticizing – folks like Weigel and Robert George – refused to support Trump and spoke out openly against him. They deserve credit for that. There’s another factor at play here, less to do with the intellectual leaders of the Catholic right and more to do with the default Americanism that seeps into all aspects of Catholic life. For example, at the church frequented by my in-laws in New Jersey, I’ve heard homilies glorifying the military, calling for higher military spending, criticizing Muslim immigrants, and comparing the hill of Calvary with the hill of Iwo Jima. Seriously. This is horrific, but the overwhelmingly white middle-class Mass-goers seem to lap it up. It’s no wonder that they find no contradiction between Catholicism and Trumpism. It’s no wonder that Donald Trump enjoys their support while the rest of the Catholic world views him with askance and horror. Surely this shows that Spadaro and Figueroa are onto something. With Trump, a tipping point has been crossed. It’s no longer just about the policies that violate the common good, such as gutting healthcare, attacking immigrants, or pulling out of the Paris Agreement. This is par for the course among Republicans. No, it’s about something more elemental. It’s about undermining the pillars of the social order itself, identified by Pope John XXIII as truth, justice, charity, and liberty. It’s about a terrifying return to the ethos of the 1930s – the dismissal of the very concept of objective truth, the attacks on media and judicial oversight, the cult of power and personality, the emphasis on a national redeemer, the exploitation of legitimate economic grievances, the scapegoating of vulnerable minorities, the winking at political violence, the mass campaign rallies that whip up fervor and anger. Anthony Annett is a climate change and sustainable development advisor at the Center for Sustainable Development – Earth Institute at Columbia University and in this position is affiliated with Religions for Peace. Prev Money and morals – when did usury stop being a sin?